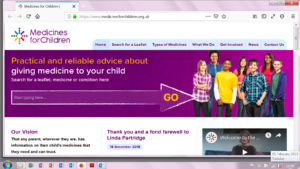 Medicines for Children is an organisation that provides practical and reliable advice about giving medicine to your child. Use the website to answer your questions. Can’t find what you are looking for or need to speak to someone? Call NHS inform on 0800 22 44 88 or NHS 111 from your mobile phone or landline (free of charge within the UK). In a life threatening situation call 999.